Enjoy some sneak peaks of the audio book! The Conversation in Heaven is a book with wild hope woven throughout the pages. Abigail shares very candidly about experiences in her life in effort to help anyone who picks up this book to hear the hope-filled conversation in Heaven over their own life. Abigail is no stranger to suffering, having endured a very painful divorce, the loss of several close and dear loved ones, facing and conquering a diagnosis of terminal cancer and much more. She knows the depths of valleys where depression, emotional pain, loss, discouragement and much more can try to wreak havoc in our lives and cause us to believe the lie that there is no more hope. She also has emerged to the mountaintop, experiencing supernatural healing and wholeness in every area of her life, discovering that Heaven has never changed Its conversation: there’s always HOPE! Abigail wants to help you discover the same! Abigail holds her Masters in Mental Health Counseling & Marriage/Family therapy from the Theological Seminary in Cleveland, TN. 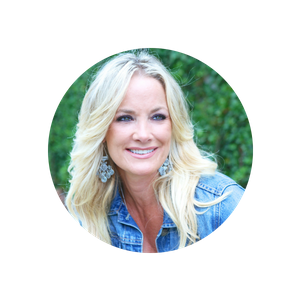 She has been a leader in the fitness & wellness industry for over 20 years. She is the founder of Jumpology Fitness, an emerging rebound fitness company. She is also an online counselor as well as an on-staff counselor at Bethel Atlanta Church in Tyrone, GA, and serves as a 2nd year revival pastor at Bethel Atlanta School of Supernatural Ministry (BASSM). Abigail loves and values being a mother & homeschooling her two amazing children, River and Lily Grace, along with spoiling their fat, pet pig named Wilbher. Abigail is now completely and medically verified cancer free! She desires to megaphone Heaven’s conversation to the entire world through one-on-one “Hope Sessions” that focus on mental, emotional, spiritual and physical health, or through preaching and teaching to all who will hear. 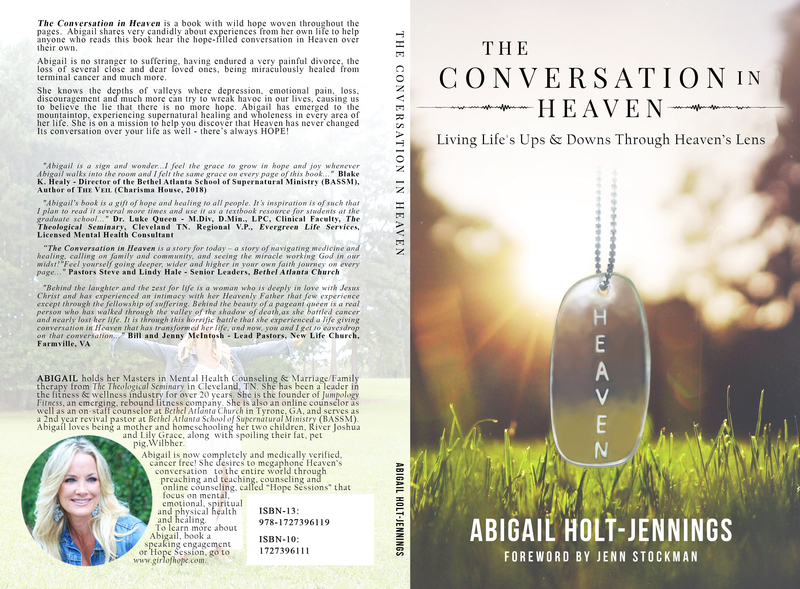 Abigail deeply desires for you to always be hearing the Conversation in Heaven over your life as well. To learn more about Abigail, click here to book a speaking engagement or click here to schedule a Hope Session. “There are moments in life when we form relationships with people because of our own intention to know and be known by them. Then there are those moments in life when we bump into people along the path of a shared and single pursuit to relentlessly give our lives to seek first His Kingdom. We look over through the blood, sweat and tears and find a covenant friend is running with all her might in the same direction towards His face. We find we are better, stronger and burning brighter because she is running by our side. A friend who pulls us into a greater awareness and deeper gaze on the person of Jesus is a friend we will cherish for the rest of time. ​Abigail is one of those friends. Her lens is full of the one thing Paul strained forward and pressed on for in Philippians chapter 3, “to know Him.” She has truly counted it all as loss, trash on a garbage heap, to be intimately acquainted with the power of His resurrection and the invitation in His suffering. I have had the honor of doing life beside her- worshipping with unreserved passion, homeschooling our children, holding hands in hospital beds, laughing until we can’t breathe-through life’s ups and downs her lens remains full of a Jesus Who is worth it. I have been wildly impacted by the way she sees from Heaven’s eternal perspective and as you read the pages of this book, you will be too. ​Abigail is a sign and a wonder that points to an open door to enter into the more of His Presence. Ephesians 2:7 says, “Throughout the coming ages we will be the visible display of the infinite, limitless riches of His grace and kindness, which was showered upon us in Jesus Christ” (TPT). She is this visible display, a living invitation, to whole-heartedly abandon ourselves to the one conversation worth giving our lives to. 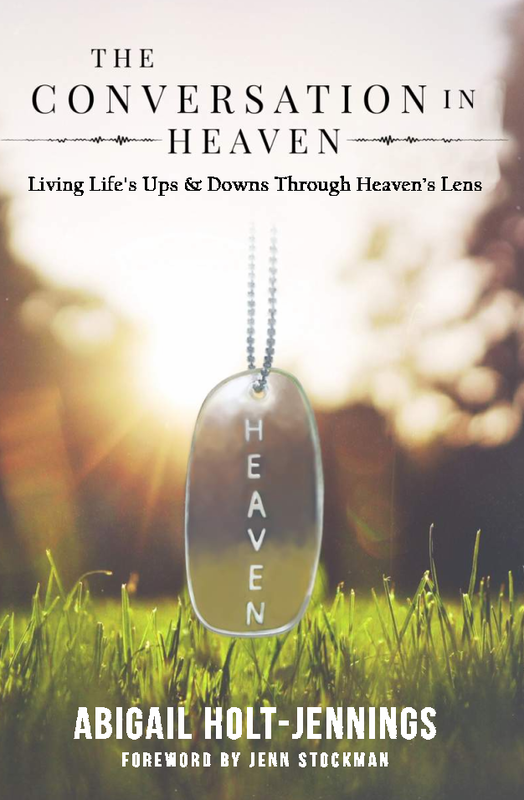 The Conversation in Heaven is full of profound revelation and stunning stories of His grace and kindness that will leave your heart absolutely undone. The most moving part of this book, though, is His Presence that rests on the words. Abigail’s history with God is weaved through every chapter, taking us deeper into the conversation in Heaven over our own. ​I will never forget the day I sat beside Abigail as the doctor went over the cancer report you will hear about in this book. I don’t really remember much of the conversation that took place on earth but what’s seared into my memory was the moment I realized that we were in the enemy’s camp. For generations cancer had come to steal, kill and destroy throughout the family line of my dear, most cherished friend. The enemy thought we were in his camp that day to continue the conversation he was having but, he was wrong. We were only in that camp to watch a warrior, hero and friend of God plunder and take back all that had been stolen. Heroes are the ones who step into the dark space as a yielded vessel to let God write His story. Abigail’s children’s children will not shudder when they hear the word “cancer;” instead, they will celebrate and see through the lens of Heaven that cancer is a defeated foe, a chewed up piece of gum under the victorious foot of Jesus. The enemy will be the one eternally shuddering at the sound of her legacy coming his way. “I have read and fully endorse Abigail’s book.Having known Abigail for years, I can say with enthusiasm that she is “real” in every way. Her passion is ‘Christ-given’ and continually spreads like a rushing, mighty wind. It is evident in her book that she is uniquely gifted with a powerful, creative mind that partners with intellectual brilliance. Since 1994, I’ve taught hundreds of graduate students in clinical mental health courses. Having Abigail as a student, reading her book and having talked and walked with her through many of the life experiences you will read about on these pages, I can truly say that she has an extraordinary ability to integrate the Gospel with victory and loss in ways that brings forth life and healing to others. My unequivocal, scientific conclusion is that God is real, Jesus is alive, and the Holy Spirit continually reaches out to help us. Abigail’s book is a gift of hope and healing to all people. Each page exhibits her contagious, energetic personality and demands focus and attention to the subject – the life healing work of Jesus Christ. Perhaps her book’s greatest contribution is the legacy that it brings to her children, River and Lily. I have long seen her unique wisdom and giftedness encompassed in her son River and Abigail’s love for people in her daughter, Lily. This book will undoubtedly remain forever stamped upon their hearts, minds and many future families.